SAVE MONEY and drive green! You can also pay for lessons in cash, cheque payable to Basingstoke Driving School, paypal sent to tony@basingstokedrivingschool.co.uk or Barclays Ping It sent to 07863 204687 or using a credit/debit card in the car. Basingstoke Audi, Crockord Lane, Basingstoke, RG24 8NA. If you live in Hampshire, aged 17-24 and have passed your test in the last 12 months you can claim a �75 discount on a Pass Plus course. What do you get for your lessons? Price Guaranteed - no price increases, the rate you start at will not increase. Instructor Guarantee - No change of instructor part of the way through your training. Punctuality Guarantee - If I am 10 mins late (without notice) you will get 20 mins free. No Smoking Guarantee - No one will have smoked in the car - Its a public place! Full lesson time Guarantee - You will always get the full lesson time that you pay for. Money back Guarantee - If you are not happy with any lesson. 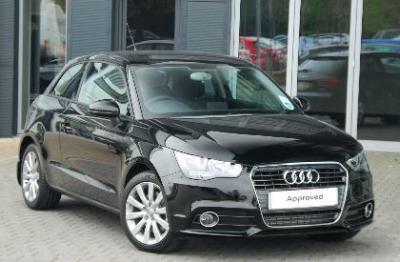 Relaxed, Comfortable Audi A1 TDI fitted with He-Man Dual Controls. Fully managed personal service for everything you need from starting your first lesson, helping you with the Theory and Hazard Perception Test and on to passing your Practical test. An instructor with more than 15 years experience of teaching pupils from 16 to 86 years of age and 30 years experience of Basingstoke. Approved Hampshire County Council Pass Plus instructor. Member of the Driving Instructors Association (DIA) & Enhanced CRB checked. Database of local test routes. Discount for lessons paid in advance and a money back guarantee. Theory = �23.00, Practical test (weekday) = �62, Practical test (Saturday) = �75.00. Tip of the week: - Is your car fit for test? It must be insured in the pupils name. L Plates must be clearly positioned at front and rear (and not in the windows). An interior mirror must be provided for the exaiminer. It must be parked reversed in to the bay before the test. There must be no defects with the car, i.e. no warning lights, wipers, horn etc. Tyres must be legal and inflated correctly (no space saver wheel fitted. Have no warning lights/messages displayed. Be smoke-free (You can't smoke in it just before your driving test). Nothing must be hanging off the car! It must be able to acheive 62mph have 4 wheels and a max mass of 3,500Kg. The car should be clean and tidy inside the car. The number plate must be legal and sufficiently clean. All the lights must work and the lens not broken. The windscreen must be clear and not cracked. The vehicle must be large enough to comfortably seat a passenger in the rear. Proof that any vehicles recalls have been completed - check www.vosa.gov.uk. Check the minimum test vehicle requirements - click here. Mini convertible, Ford Ka convertible, VW Beetle convertible, Toyota IQ. Panel Vans are not allowed. Check your own light and indicator bulbs, tyres for 1.6mm tread depth and damage and windscreen are not chipped/cracked in the drivers view and the wipers work correctly, as these are the most common reasons for failure. Tailgating is the top reason for road rage among UK drivers (49%), next comes mobile phone use (45%) and then not using indicators (38%). 12.5% of drivers have fallen asleep whilst driving and 37% say they have been so tired they have been scared they would fall sleep. Drowsy drivers contributed to 53 fatal and 351 serious crashes in 2017.